Have you ever wondered if a mime would make a noise when run over by a police car? This and other too-often neglected questions of law enforcement are finally answered in John Michael McDonagh’s irreverent take on the buddy cop formula, War on Everyone. Those with strong views on the issue of immigration may find Frontera maddening. The film assiduously avoids coming down on either side of this polarizing issue. There is no macro examination here of the situation on the border between Mexico and the United States. 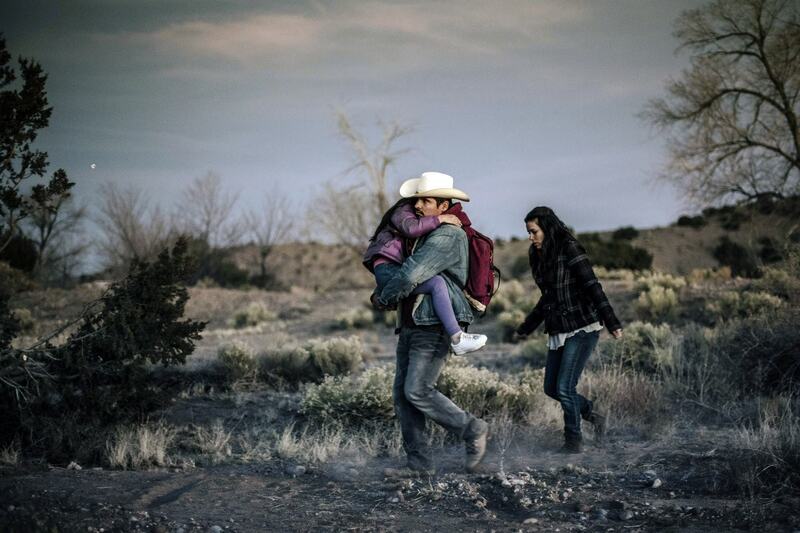 Instead, Frontera offers a micro look at the devastating effects of the forces at play on the families on either side of the divide. Currently, a wrenching, confusing scene is playing out in the southwestern United States with unaccompanied and undocumented minors flooding across the porous border. Local authorities are overwhelmed; the federal government feeble so far in its response. The film offers no insight or answers, glib or otherwise, to what should, must, or even can be done. Frontera takes an almost old-fashioned view of the situation on the border, presenting the problem as one of young Mexican men crossing over illegally in search of employment to provide for their families.